Do I Need An Attorney For My Iowa Workers’ Compensation Claim? | Pothitakis Law Firm, P.C. Do I Need An Attorney For My Iowa Workers’ Compensation Claim? ​Every year, thousands of Iowa workers file a workers’ compensation claim after a work-related illness or injury. Workers’ compensation benefits in the state have been among the most generous across the country, and the U.S. Department of Labor states that Iowa paid out over $241 million is medical benefits and lost wages. For all those who receive benefits, however, there are thousands of others whose claims were denied. So, while the law does not require injured workers to hire an attorney, it is usually a good idea. What Can an Iowa Workers’ Compensation Attorney Do For Me? Preparing documents. Workers’ compensation claims involve a large amount of paperwork. An attorney can ensure that forms are filled out completely so the commission has all the information it needs to approve a claim. Meeting filing deadlines. Many claims are denied simply because they were not made in time. Deadlines are important, and your attorney should know when, where, and how to file a claim. Investigating and gathering evidence. Most workers’ compensation cases require the injured worker to provide information and evidence to support the injury claim. Medical documents, witness statements, and expert testimony can be secured to provide the support to ensure a claim has the best chance for approval. Attending hearings. In some cases, it is necessary to appear for a hearing. With the help of an attorney, an injured worker can adequately prepare and be ready to discuss his case with confidence. Negotiating with insurance companies. Insurance companies and employers are out to minimize the financial damage any way they can. An experienced workers’ compensation lawyer understands their tactics and will pursue a maximum settlement. Your employer denies your claim. An appeals process exists for Iowa workers, and it can be possible to still receive benefits even after a denial. The process does become more difficult, however, and typically requires an appearance before the commission. Your employer retaliates against you after a claim. It is illegal for an employer to retaliate against an injured employee for filing a workers’ compensation claim. Retaliation can take many forms, including termination, pay reduction, demotion, hours reduction, and more. You receive Social Security disability benefits. These benefits can complicate a tax liability and reduce the amount of compensation actually received. An attorney can help minimize this effect as much as possible. You suffer a permanent disability. When you suffer a permanent disability, the consequences can be felt for the rest of your life. Accepting an unfair settlement or being denied one altogether can cause unnecessary hardship and stress for years to come. While the decisions of a workers’ compensation commission do not take place in court, the decisions are binding and can have a significant impact on the injured worker and his family. If your claim is denied, it can mean the loss of vital income. When the stakes are so high, it is best to make sure that your case is as complete and thorough as it can be. 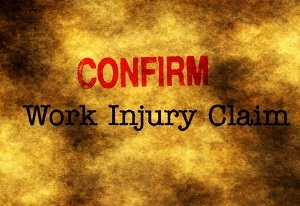 Typically, injured workers have little experience with legal matters and the workers’ compensation system. An experienced attorney has been there before. He knows what an injured worker deserves, and he can help anticipate problems, navigate the system, and negotiate with confidence. If you or someone you love has suffered an injury at work, you may be eligible for Iowa workers’ compensation benefits. At the Pothitakis Law Firm, our experienced legal team helps injured workers obtain the medical care and compensation that can help them face the future with security and confidence. Call us at (888) 459-7613 to learn more about your rights and schedule a free, no-obligation consultation. Previous PostPrevious Can I Receive Compensation For The Rest Of My Life Due To My Back Injury? Next PostNext How Do I Know Whether I Am Eligible For Iowa Workers’ Compensation Benefits?